Are you fed up with the default WooCommerce Cart Quantity? May be you want to override the WooCommerce minimum quantity or maximum quantity. Also you may need to control the step of product increment. 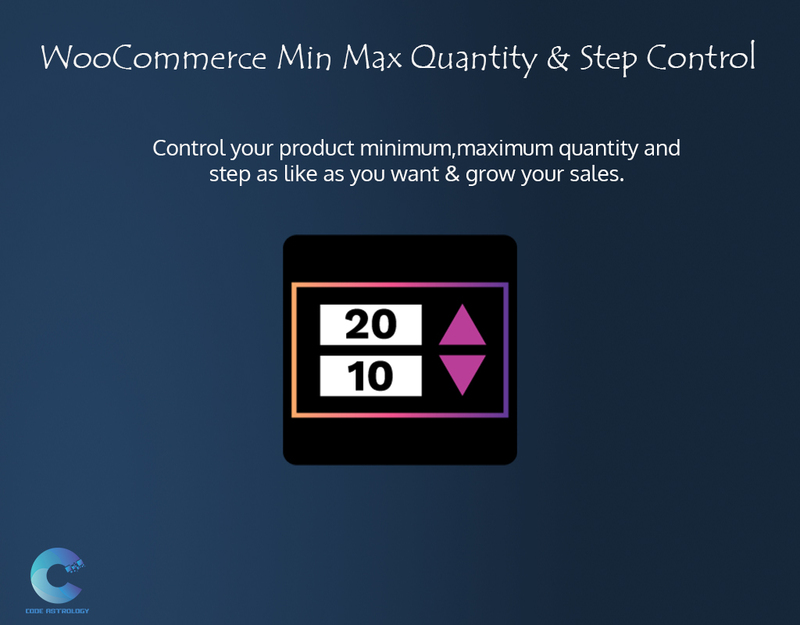 Then read this article ‘WooCommerce Min Max Quantity & Step Control’ to control WooCommerce Cart quantity and step. There are two methods to control the WooCommerce order quantity and step. Customize your WooCommerce plugin on your site or using a plugin. In this article I’ll tell you the second methods. If you are a beginner lets go ahead. Actually there is scarcity of plugin to override the default cart quantity and the step of products in cart. Here in this article I’ve used WooCommerce Min Max Quantity & Step Control plugin. From CodeCanyon purchase the plugin (link is given above). You can see the installation process in the documentation. Then activate the plugin. You can set a value, that will work for all products, unless you choose an individual value for specific product. 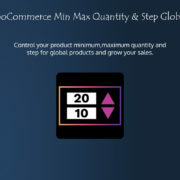 This is global value in WooCommerce Min Max Quantity & Step Control plugin. To set this value navigate to Dashhboard->WooCommerce->Min Max Step Quantity. After setting necessary configuration submit the changes by submit button. You can set a different min/max order quantity and quantity step for one or more specific value for your products. To set a different value for any product, go to the product page. Now, from the Product Data section click on Min Max & Step. Finally, from the Min Quantity, Max Quantity and Quantity Step select the value you want. You are done. Now publish/update the product. Customize Messages: Also you can customize the pop-up Cart messages from plugins configure page. Navigate to Dashhboard->WooCommerce->Min Max Step Quantity. Related Article: You can try the free version of this plugin from WordPress Plugins archives. This is all for today. I hope this will help you to customize your WooCommerce Min Max Quantity & Step Control easily. If you face any problem, leave a comment below.